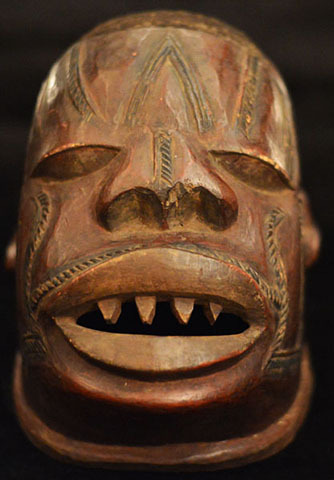 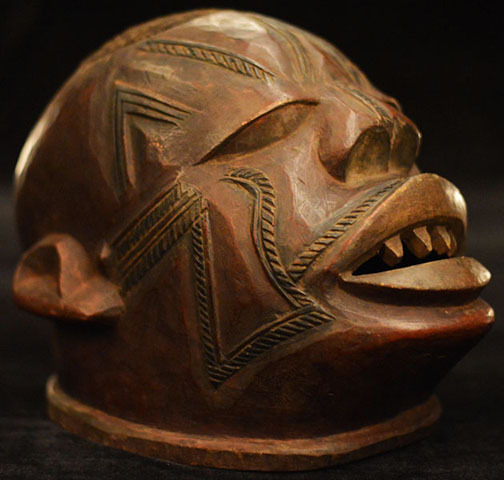 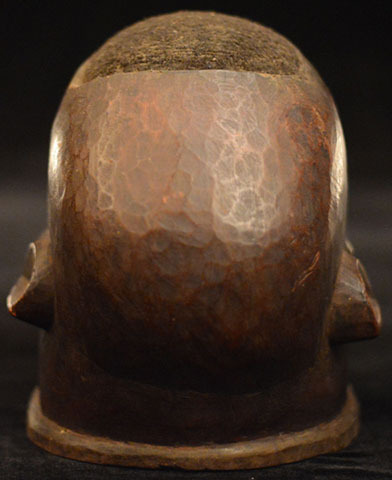 African art and masks of the Makonde. 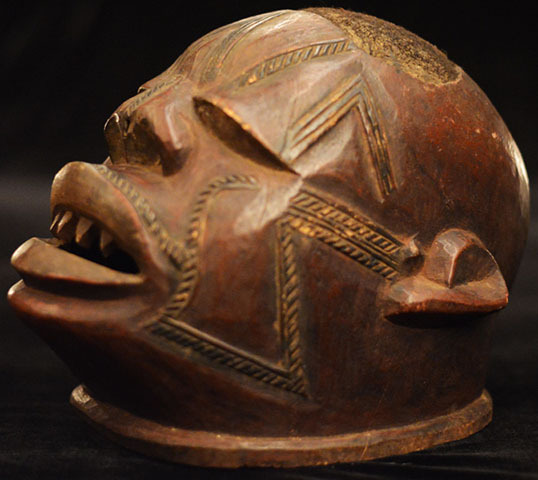 This wooden lipiko mask from the Makonde people is 9.5 inches tall, and decorated with human hair. 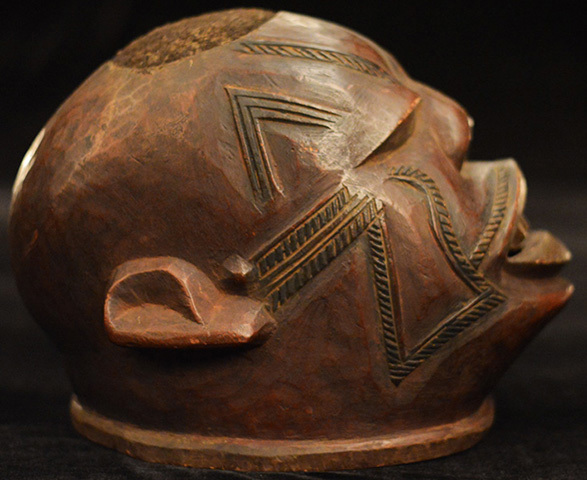 The lipiko mask is hollow, and worn like a helmet with the front lifted up, allowing the wearer to see through the lips. 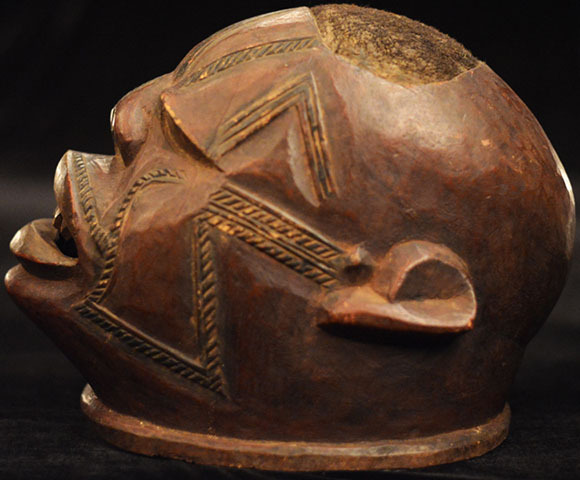 Lipiko masks are worn by elders to celebrate the initiation of boys and girls into adulthood.